Home Our Homeschooling Years Easter Experiments! 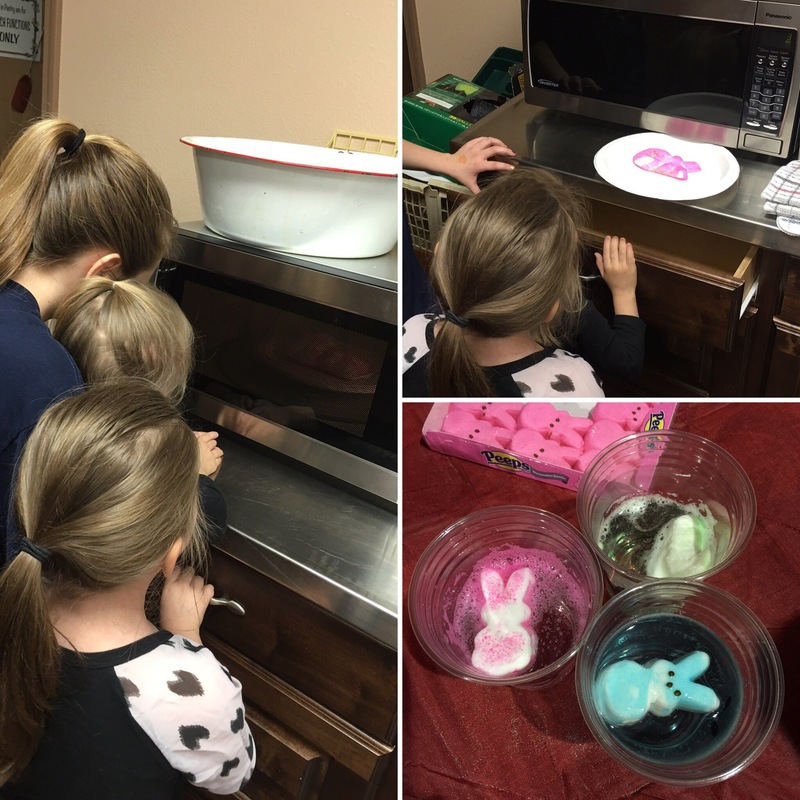 This past week at our homeschool co-op we got to enjoy two exciting Easter experiments which are perfect for these rainy days we have been experiencing. For our first experiment we split into groups. Each group had four Peeps, one cup of hot water, one cup of vinegar, and one cup of sprite. 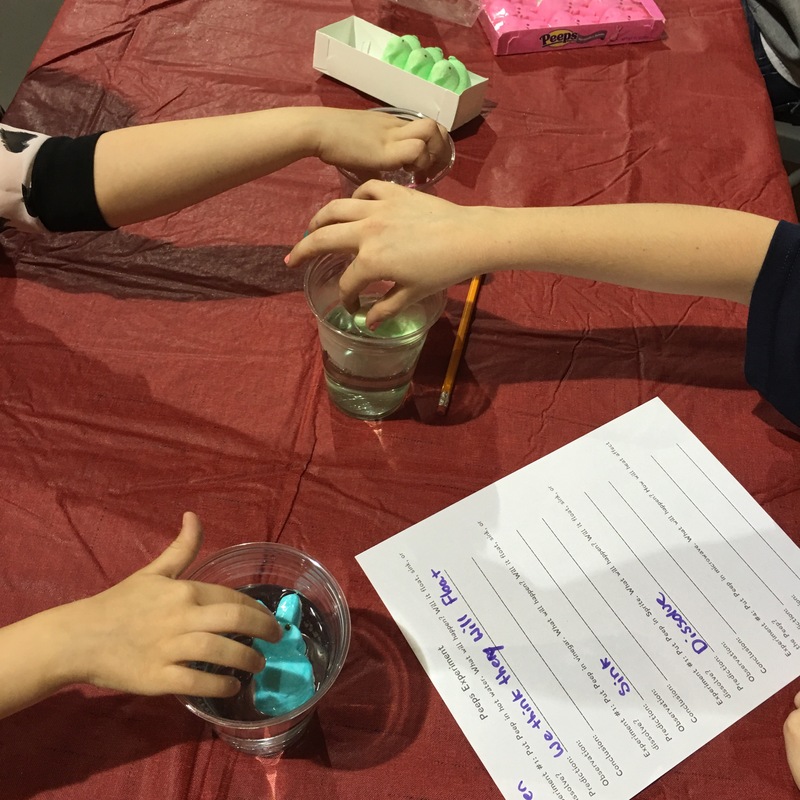 After a brief chat about the scientific method the kids all wrote down they hypothesis of what would happen when the Peeps were introduced to each liquid. The results? Well, you’ll just have to try this one out for yourselves to see! Wait a minute. Four Peeps, three cups, and three liquids to test out; what about that fourth Peep? That was probably the kids’ favorite part. We popped him onto a plate and microwaved him for almost a full minute. The kids loved watching him puff up and then afterwards we peeled him back to reveal caramelized innards. How messily exciting?! 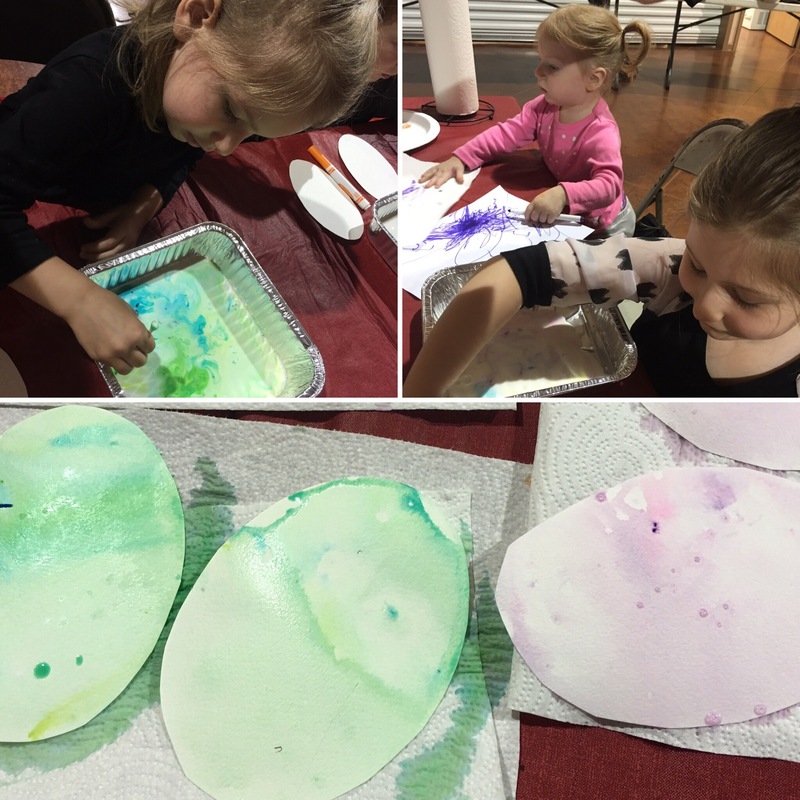 Gather your egg shaped watercolor paper and have it easily available. We started with 2-4 pieces per child and then had fun with some extra paper afterward. Pour just a few tablespoons of milk into your pan. You want a thin enough layer to cover the bottom but not enough to drown the paper. Add drops of food coloring around the tray being careful of which colors mingle so you do not end up with a lot of brown milk. Add a few drops of dish soap around the tray and use your q-tip to swirl it into the colors a bit. One at a time, lay a paper egg into the pan, press down gently, and remove from the pan. Lay the paper eggs onto the paper towels or somewhere safe to dry completely. Want to know more about milk painting? Check out the original post over on Babble Dabble Do! -or- Wanting to see more about how we celebrate different holidays? You can do that *here*.